Magic Cup Cafe is more than your average coffee and tea cafe. 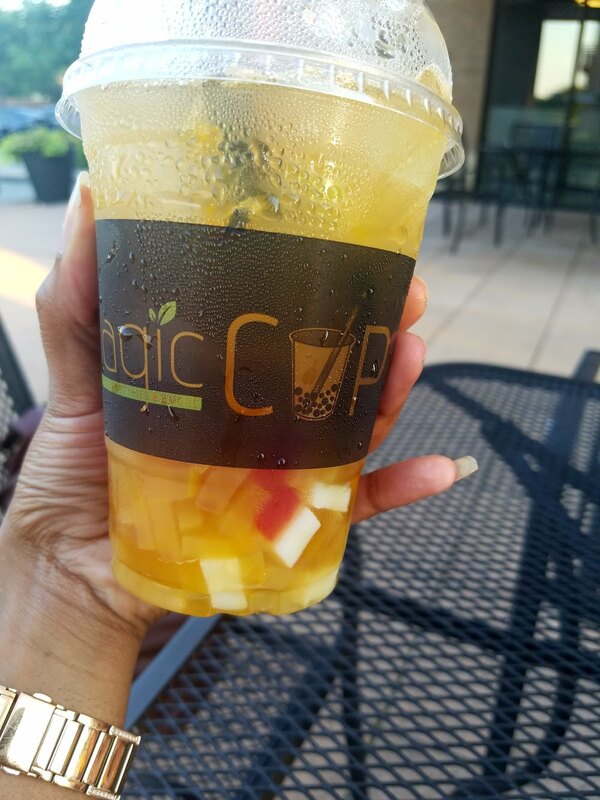 The restaurant offers an array of teas, smoothies, frappes, coffees, slushies, and Asian fusion side dishes that set it apart from the competition. The restaurant also focus on using quality ingredients not limited to Artisan teas and coffees. During my visit, I had the opportunity to try a variety of menu items. One thing that I loved about Magic Cup was the use of real fruit inside their teas. I visited the restaurant during an extremely hot day and it was wonderful to have a cold beverage infused with fresh fruit. At Magic Cup Cafe customization is key. You have the ability to customize your drink to your liking with many choices of fruits and flavors. 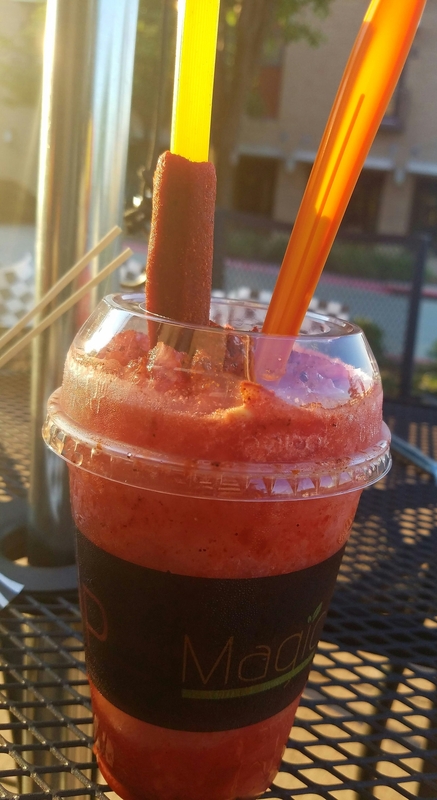 I also liked how the restaurant's Chai Fusion Tea's are topped with fresh fruit bits, spices, and a candy straw. The candy straw was a nice accompaniment and the spices gave my drink a nice kick. Honestly, you can't make a bad decision when it comes to choosing a drink at Magic Cup. Some of my favorite picks are the Passion Fruit Fusion Tea, Cha-Mango Chai Signature, and the Strawberry Peach Special Tea. Look at that Fresh Fruit! I was also super impressed with Magic Cup's selection of sides. Seriously, what's better than having a snack to go with a tasty drink? This was my first time trying Kimchi Fries and they were delicious. 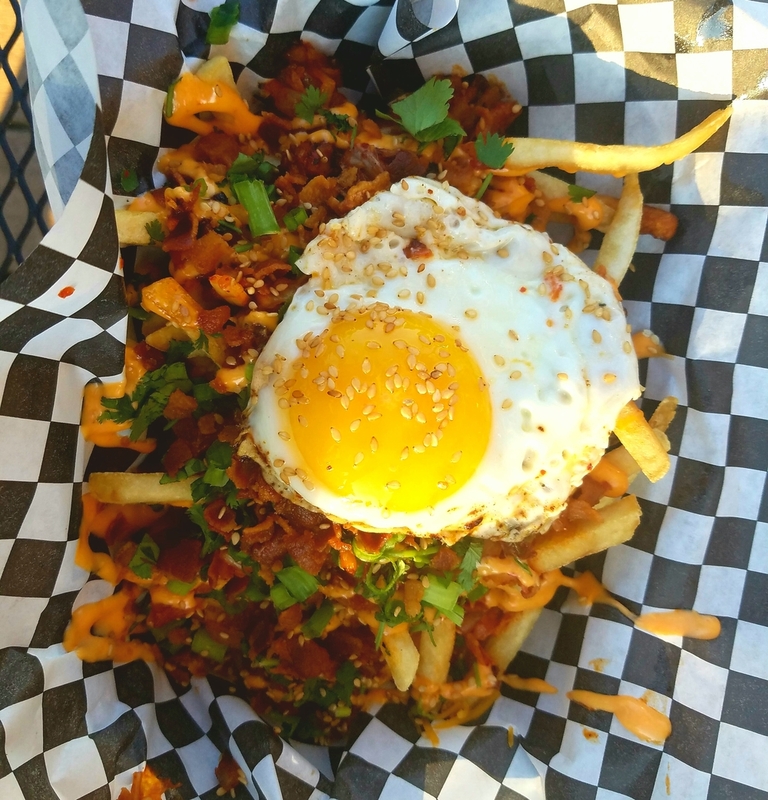 I've never had Kimchi Fries so I don't have anything to compare them to but they were fantastic. If you're in the mood for something sweet definitely order the Magic Puffs. These sweet puffs live up to their name and the flavor profile is similar to a beignet. Last but not least, I tried the Voodoo Chicken. This chicken had a great spice, was crispy, and flavorful. Keep in mind that Magic Cup's snack portions are large so you'll have enough food to share with a friend. 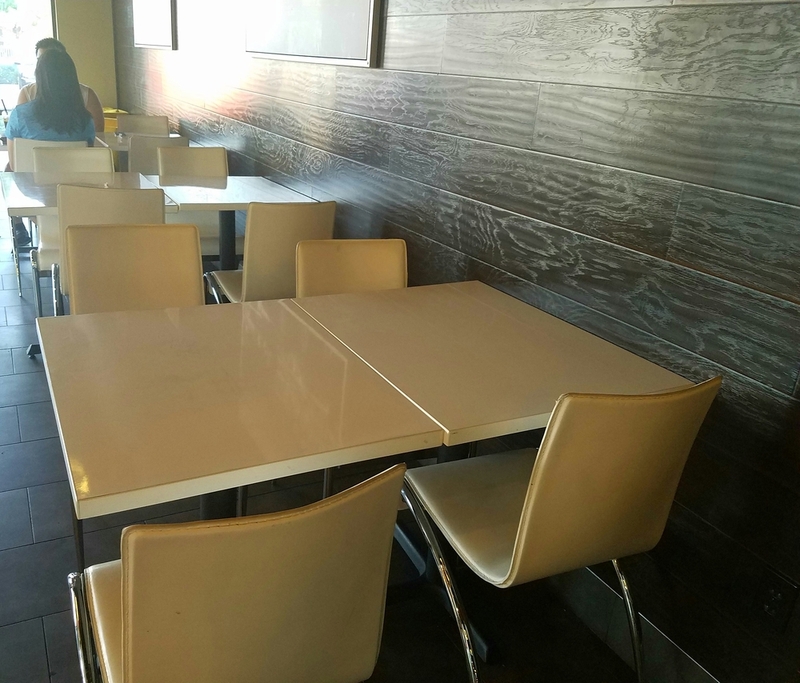 If you're not in a rush, than take advantage of Magic Cup's comfortable atmosphere. It's the perfect place to meet a friend for a fruity treat or to put in some study time. The restaurant is also Pokemon friendly and you might even find Pikachu! Are you thirsty after reading this review? Then go ahead and make the visit to Magic Cup Cafe. Wanna get a more in depth look at Magic Cup Cafe? Check out the menu here. ***Disclosure*** I received complimentary menu items in exchange for my review of Magic Cup Cafe. All opinions are my own.